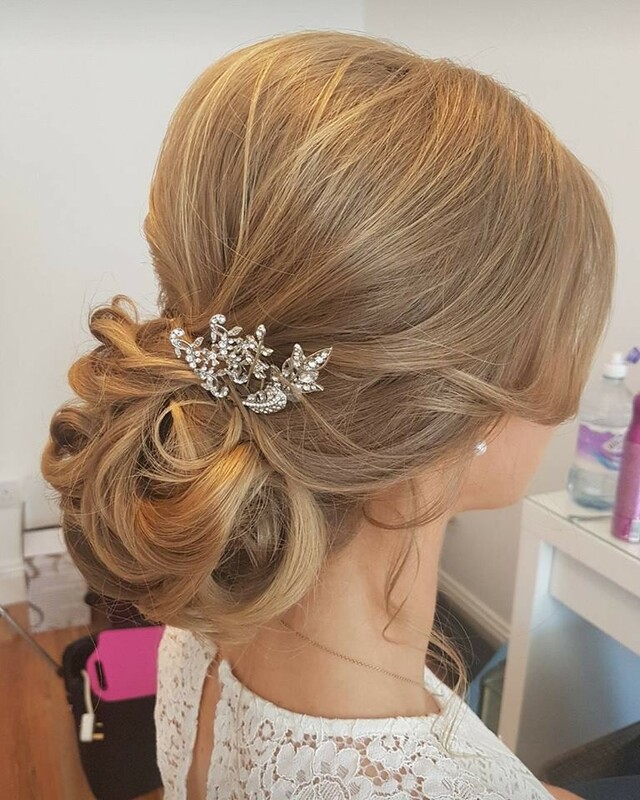 Take the stress and hassle out of your wedding and let The Powder Room Girls Elite Bridal Team organise your complete hair and makeup package for your big day. The Powder Room Girls was founded by Susan Peggs and Rhona Cullinan in 2007. 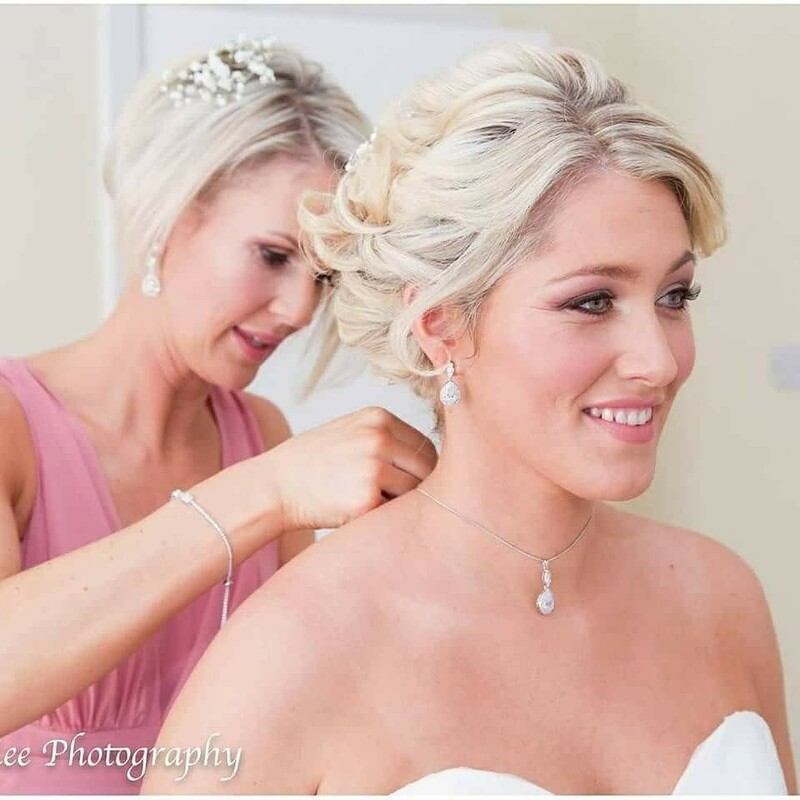 They have hand picked an Elite Bridal Team of freelance professional Bridal Specialists in hair and makeup - all experienced, fully trained and insured and available to travel nationwide. to create a smooth and relaxed atmosphere on the morning of the wedding. 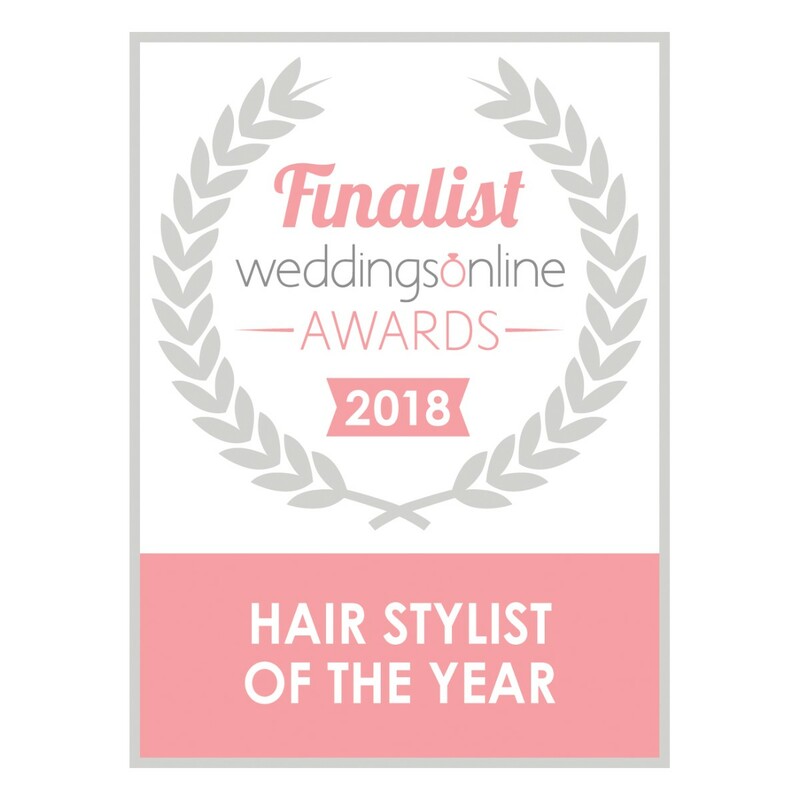 Susan Peggs ,Nominated Best Bridal Hair Stylist 2018 in The Weddings On Line Awards . 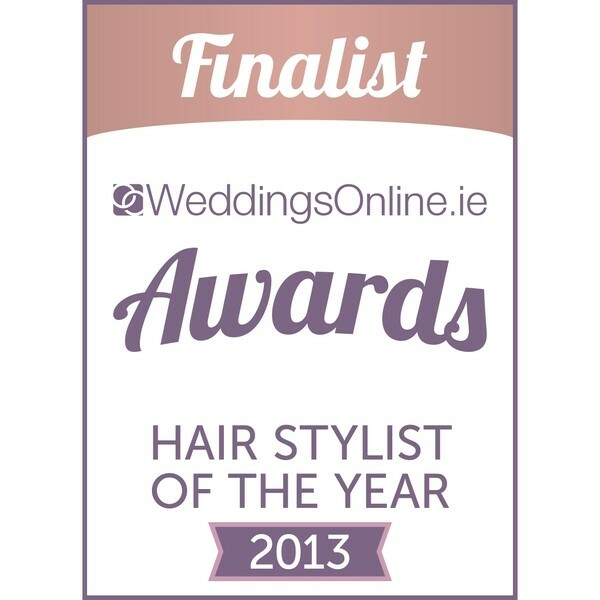 Winner Real Weddings "Bridal Hair Stylists of the Year 2009"
Winner Real Weddings "Makeup Artist of the Year 2009"
Friday was the second time I used Powder room girls and yet again was so impressed. The lovely ladies Adrienne on hair and Valerie on makeup. It was my brother's wedding the ladies were so professional and friendly it was such a relaxing morning getting ready. We all left feeling a million dollars. Very easy to book and you get very prompt responses to any emails so very stressfree experience. We booked Tanya for a post wedding celebration and she was fab! I booked quite last minute as we had been away on honeymoon and nothing was too much trouble. Really happy with the end result and will definitely be using the service again. Thank you so much! I recently used the Powder room girls for my wedding on March 8th. Declan was my hair stylist and I cannot say enough good things about him. My friend used Declan back in September 2017 for her wedding so I knew I was in great hands. Declan is just amazing and great fun, all the girls where delighted with the way their hair turned out and so was I as the bride. I would highly recommend Declan and the powder room girls for any wedding. Was delighted with both my trial & Hair on the day & with my bridesmaids. Susan was so efficient and everything went smoothly. 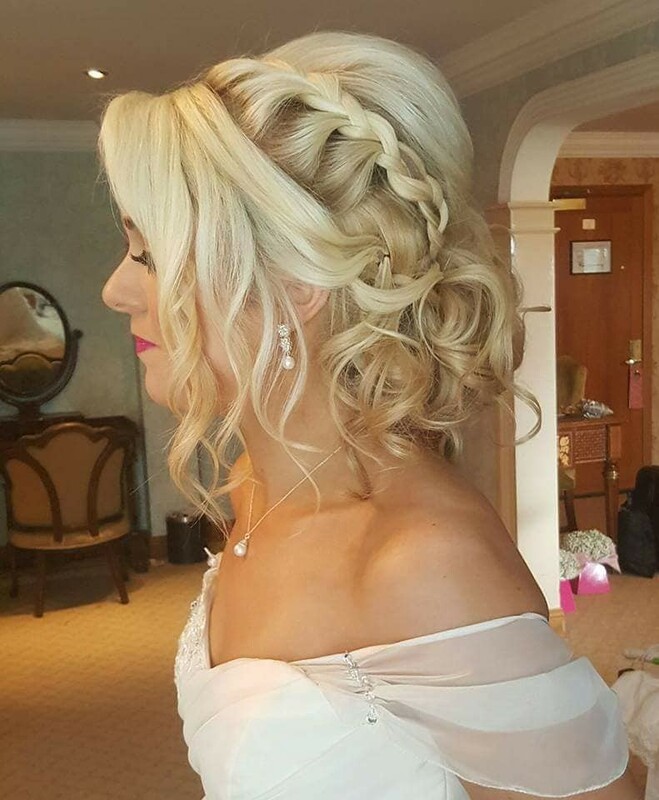 Susan - Thank you so much for the unbelievably beautiful hair styling you did for my wedding. It was such a pleasure having your help and calming influence on the morning, and I had so many people coming up and asking me who did it. I can’t thank you enough and would happily recommend you to anyone if the future. I had Declan for hair and Deirdre for make up. They were both brilliant on the day. I knew from my trial I was very happy and Deirdre even gave me advice on my skin so it was best prepped for the day. They both arrived on time and put everyone at ease. Declan even brought a speaker with a brilliant playlist. Really added to the morning and something I hadn't thought about. Myself and my 4 bridesmaids were really happy with how we looked. The girls looked stunning. The girls just asked what they wanted and they both delivered perfectly. They both were really nice to deal with and added to the buzz of the morning. We did photos before the ceremony and they waited for touch ups right up to the ceremony. I cannot recommend Declan and Deirdre highly enough. The Powder Room is amazing! They made me look so beautiful and I felt like royalty. They were so sweet and truly help bring my beauty out! Christine was so professional and gave me exactly what I wanted!! She was calm, reliable and a true breath of fresh air!!!! I had the best experience using the powder room girls for hair and make up. Maria and Sandra had our hair and make up perfect, they came to my house and the atmosphere was lovely instead of stressful. They listened to what each person liked/disliked and worked magic on us. I will be using them again! Helen Steadmond (make up) and Declan Chapple (hair) came to my house on September 15th to do hair and make up for me, my mum, my sister, my sister in law and my two nieces. I really couldn't recommend either of them highly enough. Both Helen and Declan were a wonderful combination of professionalism, skill and yet relaxed. They were incredibly responsive to any feedback and immediately shifted the style that they were doing to meet what you needed. There was nothing they couldn't do. When we initially made contact with them they always got back to me within 24hours and had ideas and feedback for what i was looking for. I felt in such safe hands and on the day of the wedding - they made sure i looked beautiful - which can be hard for a woman in her late thirties with a young baby at times!! So Helen, Declan - thanks for an amazing morning of hair and make up and for getting the day off to such a fun start. You were amazing. Pam & Lott are fantastic. They did a brilliant job of 6 people on the morning of my brothers wedding. Pam was excellent.... She really listened to myself and the wedding party and did exactly as we wanted. She is professional, punctual and a pleasure to deal with. Also thanks to Hugh for helping on such short notice. Valerie and Andrea were amazing! They were so calm and made me look like a princess! Absolutely delighted and everyone complimented me on both my make up and hair. Can not recommend enough, easy to deal with, so handy that they come to you on the day of the wedding and great value for money. Declan and Glenda did hair and make up for my wedding day. They both did an excellent job and were professional and friendly in their manner. They contributed to a very relaxed atmosphere on the morning of the wedding. I had Helen and Shelly from prg do the bridal party hair and makeup. They were both nothing short of AMAZING. I had travelled from Australia so had no trial, just showed them a couple of pics of what i wanted. They perfected the look and were so friendly and easy to talk to. I would highly recommend these beautiful ladies for a perfect day!!! I was traveling from Chicago to get married in Glendalough. Helen made every effort and was able to get me in for a trial 2 days before my ceremony. I showed her a few pictures and she perfectly emulated the look I wanted, bridal yet subtle. Can't recommend her or Powder Room Girls any higher! Delighted with the lovely Helen and Andrea from the powder room girls.A lovely relaxed morning with 2 wonderfully skilled artists. I love the way Helen was so detailed with the makeup,I felt really glam and yet comfortable with the amount of make up. It lasted right through until the next morning despite some emotional moments during the day. All my bridal party were delighted also and Helen easily applied a few different looks. 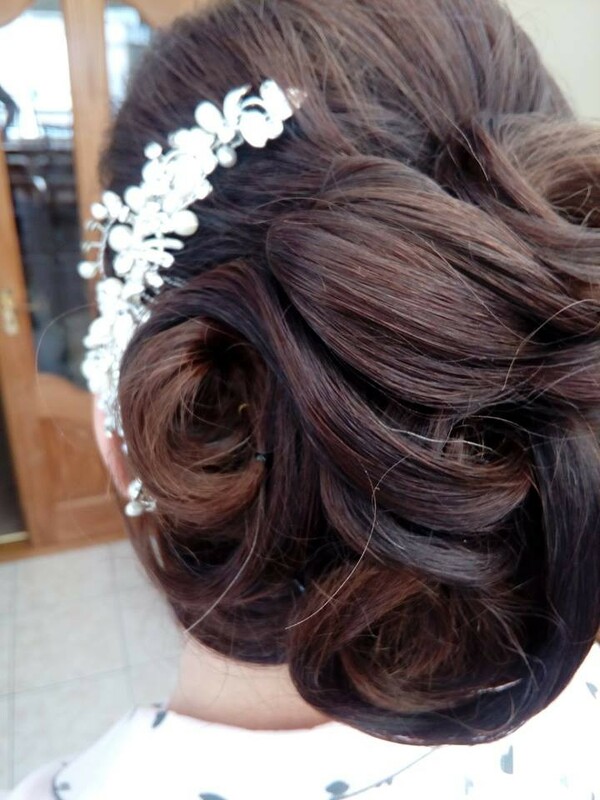 Andrea is a very experienced wedding hairstylist and easily achieved some classic looks for all the bridal party. I had Pam & Lott from the Powder room girls for my wedding. They were both so nice to work with and the morning of the wedding was very relaxed which is what you want. 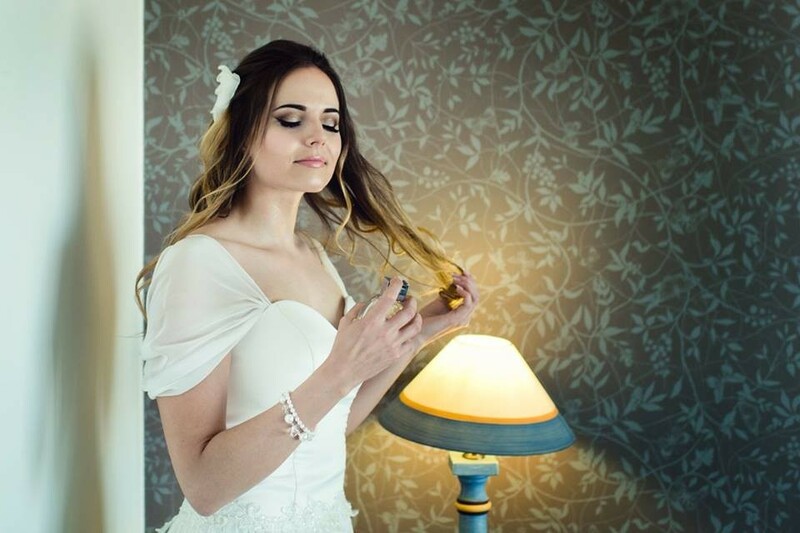 The service they provide is perfect where they will travel to your location which takes the stress out of having to travel to multiple locations for Hair & Makeup. The quality of the service was very high both for the makeup and the hairstyles. I am extremely happy that I chose the Powder room girls and would highly recommend to others. I love The Powder Room Girls because they made me look like a QUEEN! They were so fun to work with and really made me feel welcomed and comfortable. Michelle was the true professional. Coming from the United States for such a gathering was a bit scary-especially wanting perfect hair! Predictably, we did have some issues which impacted the amount of time Michelle had to do our hair. She was calm and did an absolutely beautiful job on all of our heads! Every one was pleased as each hairstyle was unique and "fit" the individual. Her warm presence and attentiveness was remarkable. I cannot say enough about Michelle. She was honestly one of the highlights of our event!! We had susan and Maria do our hair and makeup, we had such a laugh with them, the morning was so relaxed and fun! I can honestly say I’ve never felt so gorgeous!!!! They did such a fantastic job, I would highly recommend them to anyone!! My bridesmaids, mother, mother-in-law and I were delighted with Pam and Lott from The Powder Room Girls. From the initial emails to the trial where they came to my home to the day itself in West Cork both ladies were a dream to work with. They listened to us but also gave us some much-needed advice, they were relaxed and fun to work with and made everyone feel at ease. I would recommend them to any future bride. Susan was fantastic to deal with. I loved that she coordinated both the make up and hair. She even organised hair and make-up for 10 guests! Very reasonable pricing, lovely results and very flexible in the morning of the wedding. I booked Declan from The Powder Room Girls. He arrived on time and even saved the day with his own music. Beforehand, I asked him about a schedule for the day and his times were spot on. The styles myself and the bridesmaids choose from Pinterest he was able to do no problem. He’s so talented. He’s the type of person you need on the morning of your wedding someone whose chilled, professional and has a great attitude. Myself and six bridesmaids had Declan for hair and Dolly for makeup. We first met them for the trial a few months before the big day. As well as making us look wonderfully glamorous, they brought a great mix of professionalism and fun. On the day itself they arrived nice and early and in great spirits, even though we were staying at a B&B that was a bit out of the way. They got us all ready in good time, and gave us helpful encouragement based on their combined experience. Their enthusiastic company was much appreciated as nervous excitement took hold! They went above and beyond in helping us get the day off to a great start, even bundling me up in the back of the car in my gigantic dress! I would highly recommend Declan and Dolly for their excellent work and brilliant demeanour! Declan and Helen came to the hotel to do our hair and make up for our friend’s wedding. They were punctual and professional and took our requests onboard. We would highly recommend them and Powder Room Girls. The Powder Room Girls were amazing! I had them booked in for both hair and makeup and honestly I couldn't have asked for two better women. They were so professional and nice from the first consultation to the wedding day. They both either stayed around a bit longer after some tears were shed to give me one final touch up before the ceremony. If I could do it all again, I would book them in a heart beat. 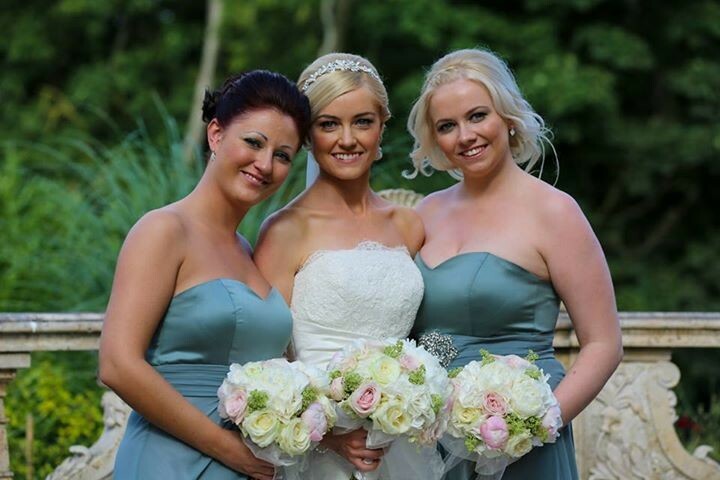 I had the pleasure of having Susan and Rhona for my hair and make up for my wedding . They are true professionals and very very talented at what they do . They made us all feel so relaxed and had the craic ???? would highly recommend both Susan and Rhona for any future brides . I can't recommend Trish and Dolly enough. They were both so amazing to work with, all my girls were in LOVEA with how their hair and makeup turned out for the day, but me especially. They made the whole process of getting ready so easy. Dolly even made sure I ate something beforehand because she knew it would be a while before I was able to again. I live in the US and so finding and trusting someone with my hair and makeup when I wasn't able to get a trial run was terrifying for me. They be made me comfortable as soon as they showed up and I knew I was in good hands. Everything was perfect. ?? Declan did hair for myself and bridal party on July 6th and I can't recommend him highly enough. He is so friendly and warm in all correspondence. He is also a genius when it comes to doing hair!!! He was chilled and calm on the morning and really added to the atmosphere with myself and the girls while we were getting ready, he arrived with his playlist and easy chat at the ready and helped to make the whole morning really special for everyone. Rhona (make up) and Andrea (hair) were both awesome! Listened to what we wanted, were calm and supportive on the day and made us all look lovely! Highly recommend - thanks! I can't recommend powder room girls enough. Andrea and Rhona were fantastic and put everyone at ease on the morning of the wedding. 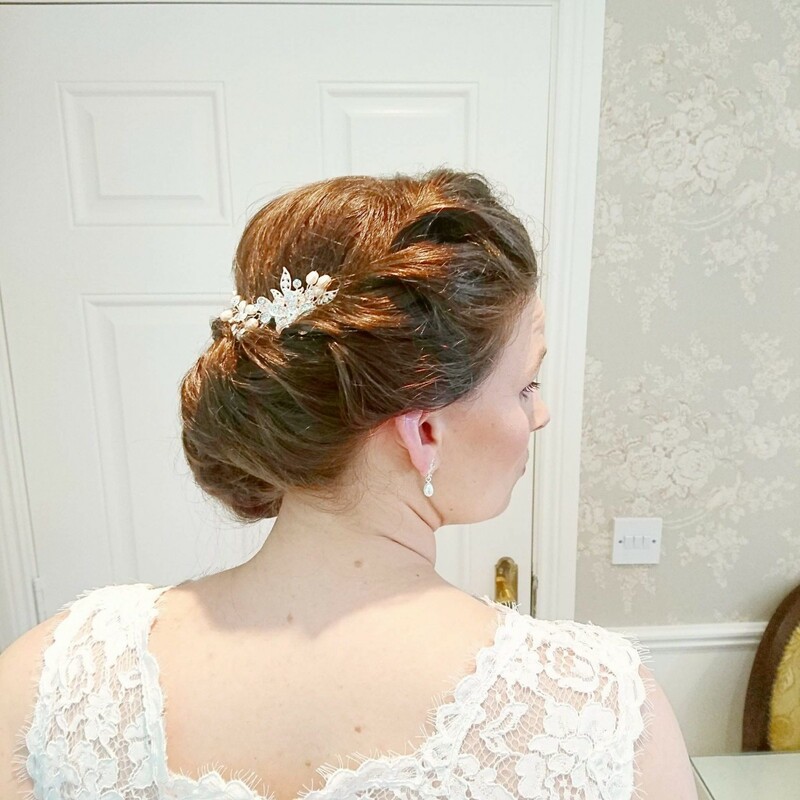 I loved my hair and make up on the big day and the girls were such professionals and so nice to deal with. I had Adrienne for hair and Maria for make and they were both fantastic!!! They were so much fun to have around in the morning it felt like they should have been coming along to the wedding with us. My make up and hair lasted the whole day and the next day I was left with lovely wavy hair as if I had just got it done when I took my updo down. Would highly recommend powder room girls it was so easy and stress free and they have amazing people working for them! Michelle and Helen are completely amazing at what they do. We were so lucky to have them! They went over and beyond from my initial consultation to the final touches. They offered so much helpful advice. I cant thank the Powder Room Girls Team enough for their professional and seamless approach via email and in person. The team were amazing at details. The finished looks were better than any of us anticipated. 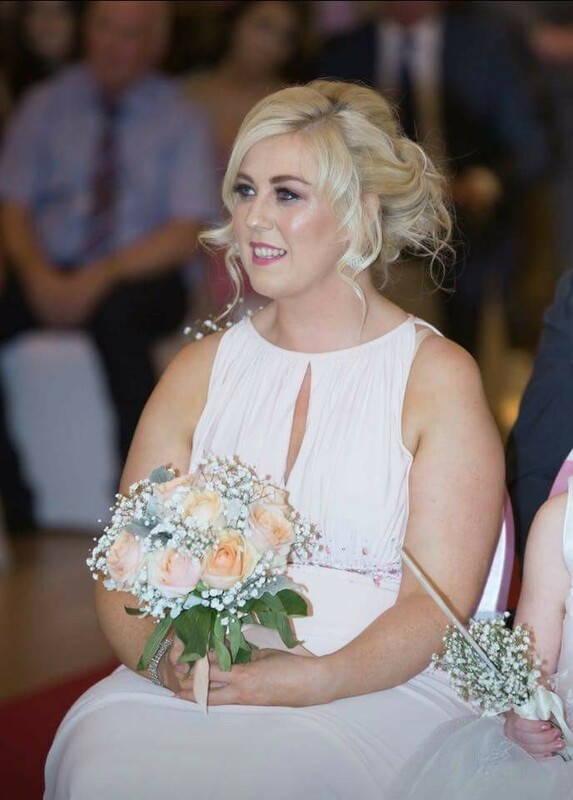 Myself, my mam and bridesmaids were completely transformed and we felt like a million dollars! Guests complimented us on how beautiful we looked all day! The hair and make up didn't budge even after all of our dancing!! We all feel so appreciative to Michelle and Helen for their hard work and making us feel so confident. I'm so grateful to both women for creating such a friendly and happy atmosphere on the wedding morning. They're warmth and reliability put us all at ease. 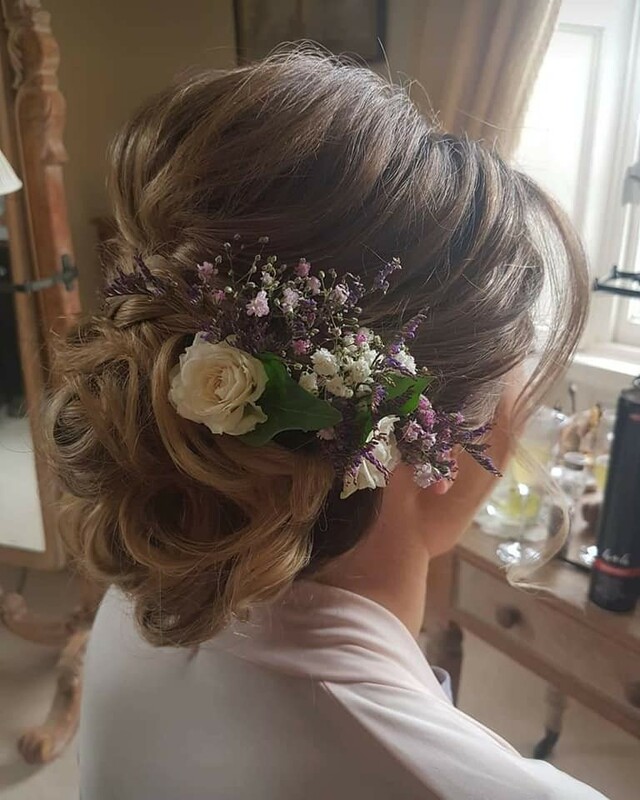 Even in the lead up to the wedding they were amazing to work with and I was so sure that the hair and make up would turn out fantastic that it was one less thing to worry about. I can never thank them enough for their work ethic and kindness. While transforming us into supermodels they were sharing stories and laughing with us. That made for such a happy and positive memory of getting ready for all of us. I have already been recommending The powder room girls to future brides and will continue to do so. It was the best decision! Thank you to all of the team for such a wonderful experience!! Christine was wonderful! Planning a wedding overseas and not being able to bring my usual hair dresser was stressful, but Christine exceeded my expectations both on how she did my hair and make-up, but also because of her demeanor that morning. She was calm, provided us with music since our phones didn't work there, and waited until I had lunch to do the final touches (her idea!). Thank you so much making me look and feel beautiful on my wedding day! Big big thank you to Shelly and Dolly from the Powder Room Girls who were absolutely fantastic. The ladies were true professionals but a lot of fun. Was really worried about someone else doing my hair and make up on my wedding day but they put me totally at ease at the trial which left me with one less thing to worry about on the lead up to wedding. They listened to exactly what I wanted but made it 100 times better. Have never felt more beautiful than I felt on the day. Compliments galore, everyone saying I looked like a model. It’s far from a model I look like in everyday life, definitely down to the magic that the ladies worked on the day. I would 100% recommend them, thanks so much ladies. Pam O Dea was my hairdresser and she was fantastic. She looked after myself, 3 bridesmaids, 2 flower girls and my mother and was equally as attentive to all of them, despite a long mornings work and a long journey that morning. We were all delighted with our styles and she was great fun and a lovely addition to the morning. She was also great for advice on keeping my hair in good nick in the lead up. She stayed in constant contact and was extremely flexible and helpful. Would highly recommend Pam. Adrienne and Valerie from the Powder Room Girls were excellent. Myself, three bridesmaids and my mam all looked fantastic and I honestly couldn't have been happier. Both ladies were so lovely and professional and just an absolute pleasure to deal with. I would definitely recommend them to anyone looking for wedding hair and make up. Declan and Janet both did a fantastic job. We were all really happy with our hair and make up on the day. I would definitely recommend both of them! Very happy to have Declan to do my hair on my wedding day! 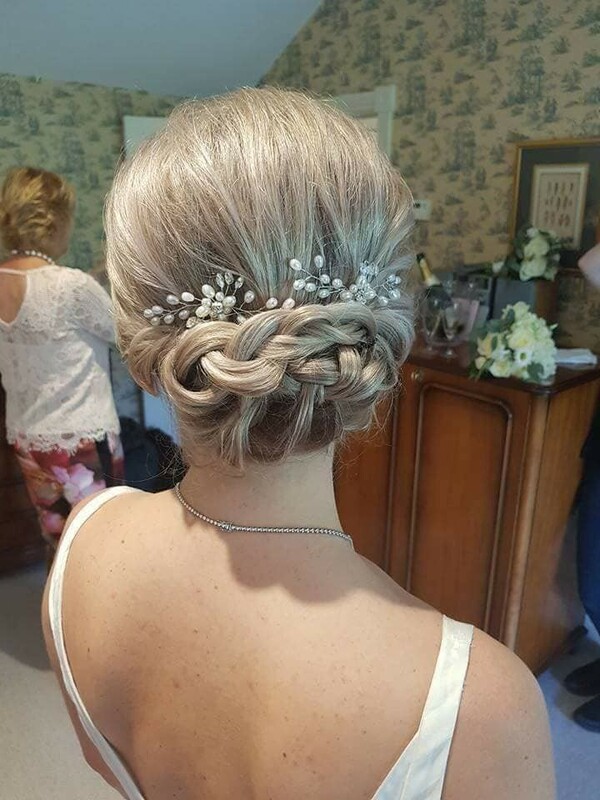 He did a brilliant job for 6 of us (my mum, sis-in-law and my 3 bridesmaids), all of us loved our hairdo on the day! Very easy going and professional at the same time! Definitely highly recommend Declan to future brides! Trish was my hairstylist for my wedding in April and I can’t recommend her highly enough- she did a fantastic job and couldn’t have been more pleasant or obliging. 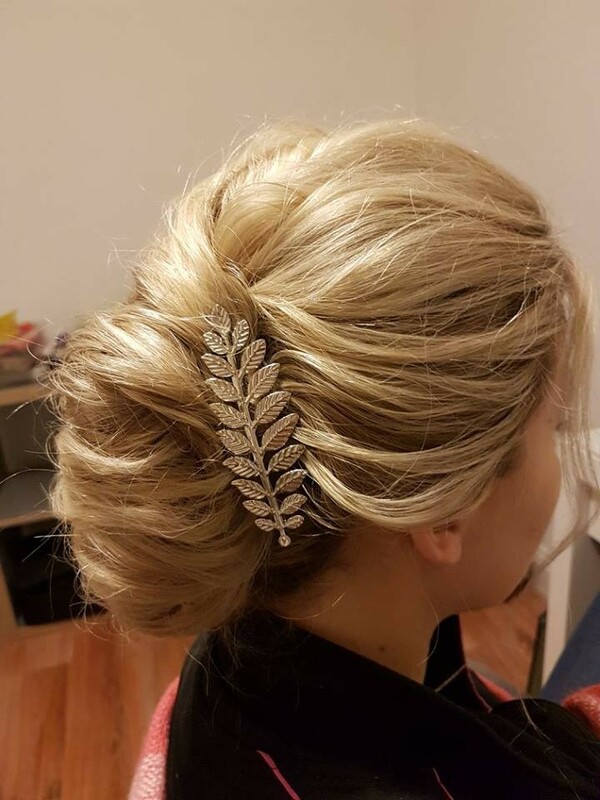 My bridesmaids and I received a huge amount of compliments the entire day on our hairstyles and requests as to who had done them- they really were gorgeous and Trish was fantastic both on the day and for the hair trial- she really listened to what I wanted and she did it perfectly. I will be definitely be asking her to do my hair again when I have another occasion! I would like to highly recommend Lott for wedding make up! She was so lovely and professional from the moment she contacted me. I had a make up trial with her, and she listened to what I wanted and made changes. She did 7 adults makeup on the morning of the wedding and she was so calm and reassuring! A true professional and a very talented make up artist- thank you so much Lott for making the whole experience so fun! 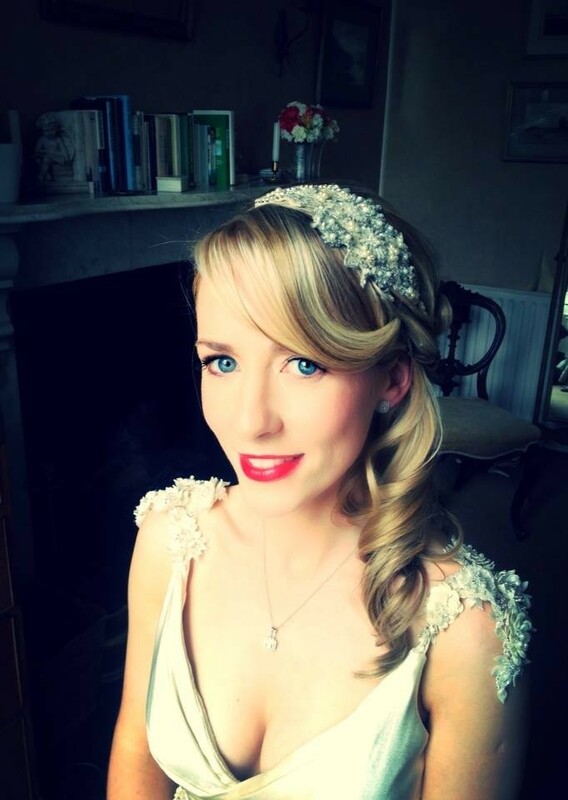 Being a New Yorker getting married in Ireland one of my biggest worries was my hair and make-up for my wedding day. Thankfully, I learned about the powder room girls and Declan and Rhona. From my trial to the wedding day their professionalism and expertise were way above and beyond my expectations. They did an exceptional job for myself, bridal party and mother; we all received endless compliments! Simply put, every girl wants to feel her most beautiful on her wedding day and thanks to Declan and Rhona and their wonderful skills I truly did! I will be forever grateful to them! Trish was so lovely on our wedding day. She did a smashing job on my hair but also my bridesmaids. I'm so glad I choose Trish ???? Thank you! Lott and Pam are an amazing team - took all the time necessary to ensure the whole wedding party and of course the bride looked absolutely incredible. Hair and makeup lasted all day∋ght. Thank you again! I had Declan to do our hair and he was amazing. From day one he was so easy to contact and great to reply. On the morning of the wedding he did an amazing job on everyone's hair, we were all delighted. We had a can atmosphere in the room and had a laugh which Declan definitely added to. Hr also put on a great playlist (better than ours). I'm delighted I, without any doubt would highly recommend him. Susan and Dolly did an amazing job on myself and my wedding parties hair and makeup, seriously couldn't have been better! Everyone looked stunning and none of us had any issues throughout the day and evening. They both were so much fun and we enjoyed the time we go to spend with them. Additionally, I am from out of the country and wasn't able to do my trial session so I was completely trusting them and they blew me away. Would highly recommend. Rhona and Susan were simply amazing! From the moment I met them both when I did my hair and make-up trial they put me at ease and I knew it was all going to be perfect! The both set a lovely calm tone with us on the wedding day (including four bridemaids and a very excited mother of the bride). The girls all looked sensational and it lasted well into the early hours of the morning. I wouldn't hesitate to recommend both Susan and Rhona. Just great!!!! We had Pam recently for a hen in Limerick. She was very friendly & professional. She had 4 upstyles to create from pictures we had sent & all of us girls were happy. Thank you for your kind words.You were all a pleasure to work with and so welcoming. 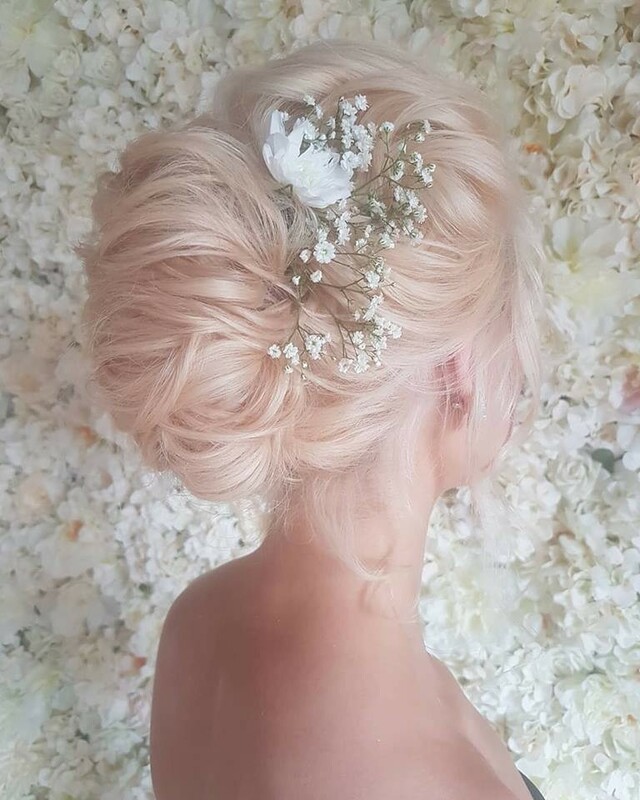 What an amazing day we had for our wedding and it all started off so smoothly with the bridal party having their hair done by Susan one of The Powder Room Girls. Susan couldn't have done any more, her time keeping, professionalism and attention to detail was second to none. I will have no hesitation to using Susan or The Powder Room Girls for any future events I will be attending. What can I say? Shelley was an absolute perfectionist, and was so easygoing and lovely to have around in the madness of the morning of the wedding. She was excellent with dealing with my long, curly and crazy hair and my bridesmaids and mothers' hairs were beautiful. Highly recommend! I had Declan Chapple for my hair on the day. He was timely, calm, did exactly what I asked for with no stress or issues, he even held the umbrella as I walked out to the car. Did 3 bridesmaids and mother of the bride efficiently and was great to chat to all morning! Really recommend him!! 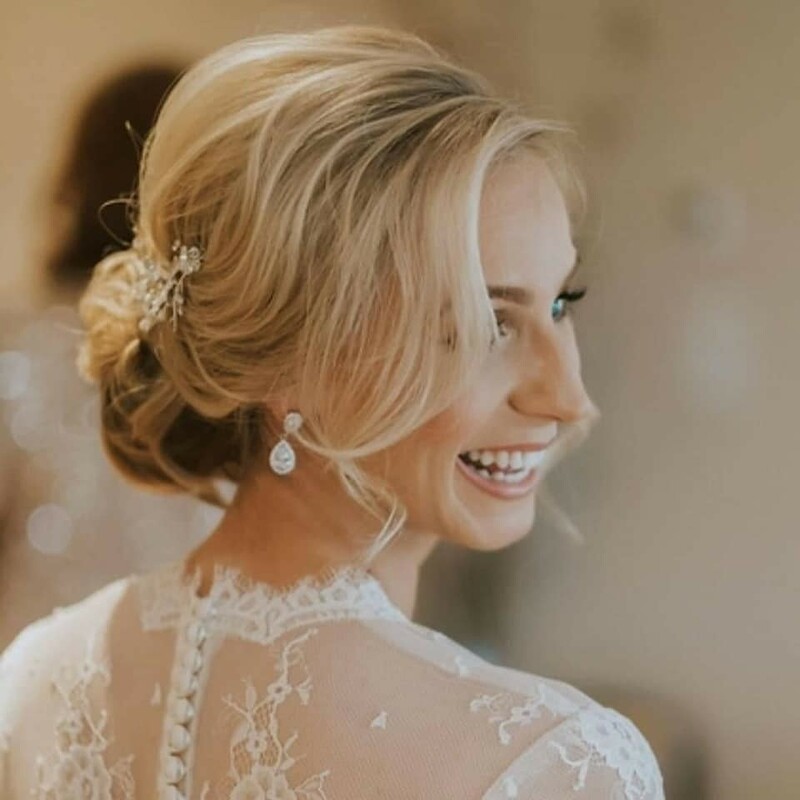 I got married on the 31 Dec 17 and had the absolute pleasure of having Susan Peggs from The Powder room girls do my hair and all the bridal party. I can't recommend Susan enough, she was just fantastic from start to finish. Such a down to earth person who helped put us all at ease (especially me)! My hair and all the ladies hair were fab. You most definitely do get what you pay for because the professionalism was second to none and I would recommend this company in a heartbeat. It was a pleasure to have Declan from powder room girls involved in our wedding day. From the very moment we made contact he was nothing but professional and so easy to deal with. He arrived on the morning of the wedding and just blended into the background and got on with it. He was so relaxed and everyone’s hair was perfect and lasted the entire night. I was especially delighted with my own - even after changing my mind mid way through on the morning - nothing phased him. He was happy to make the changes and made me feel so relaxed. Highly recommend. I was absolutely delighted with Tanya and Susan from The Powder Room Girls, and I couldn't recommend them highly enough. They both really listened to my requests, were flexible and took the time to tweak things until I was pleased with everything. My Mum, sister and friends were delighted with everything too, and they felt that both Tanya and Susan really captured what they had asked for. They were professional and efficient, and helped to make the atmosphere on the morning relaxed and stress-free. Thanks so much to Tanya and Susan! Declan did my hair for my wedding in December. He was recommended by friends of mine and he didn't disappoint! 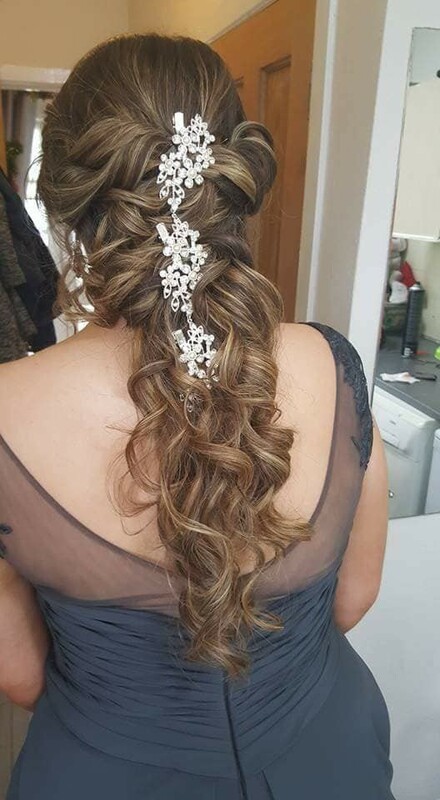 I was thrilled with how natural my hair was, he listened to all my requests and brought some fun into my parents house on the morning of the wedding. Thanks Declan! 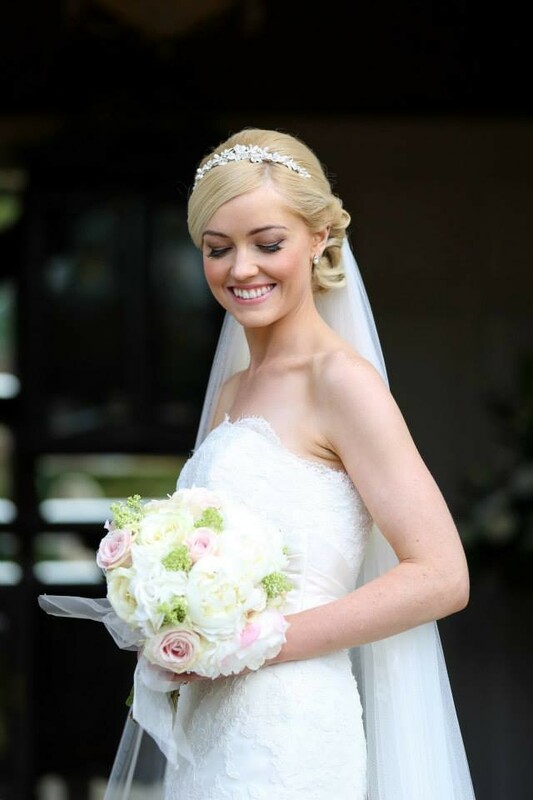 It was so amazing to get my hair and makeup done from Susan and Rhona for both the wedding days. I must say they did absolutely fantastic job on both the days. I did not expect anybody in ireland to be great at hindu bridal hair and makeup.But they have done absolutely great job. I will highly recommend them. I had Maria and Rebecca do my hair and makeup for my wedding. They were absolutely brilliant. 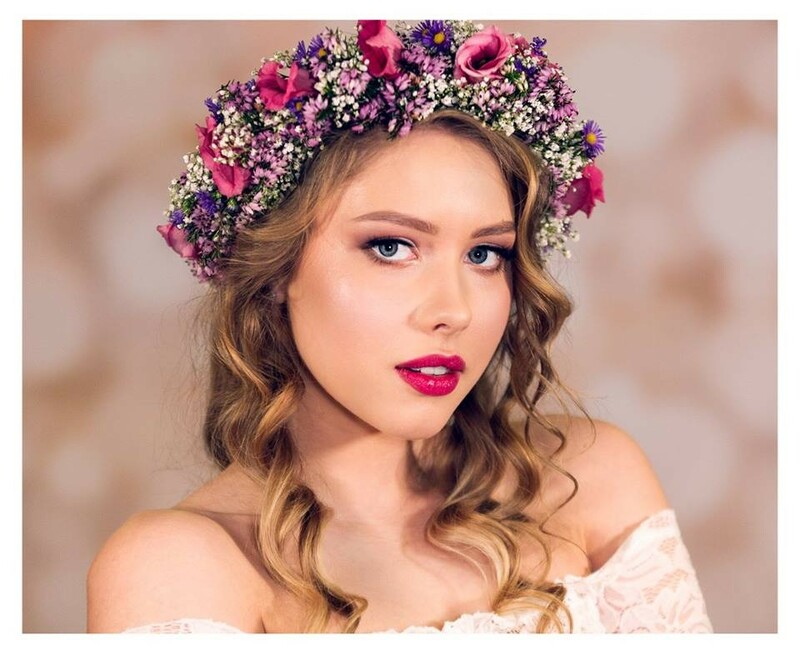 Maria is an amazing makeup artist, she has loads of great ideas and listens to what you want. Rebecca is equally amazing and helped us out with deciding bathe bridesmaid styles on the day, Both are really easy going and relaxed whI hope is so important on the day! Thanks again ladies. ???????? Susan and Rhona were great! They were really friendly, really professional, and very calm, which was great "that" morning! I went to them initially for a trail before the wedding, and I was sure then that they were the right fit. I was pretty vague with what I wanted initially (some kinda vintagey type of thing, not too much make-up) but they seemed to get quite quickly what I wanted. The ladies were great at taking on board the look that each of the bridesmaids wanted too, and they just made the whole thing so easy. My mother-in-law got her make-up done also, and she had some amount of compliments on her look! Thanks so much ladies! 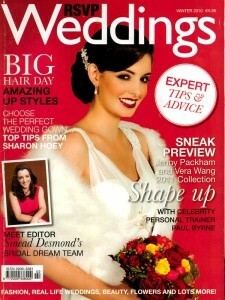 Declan and Janet were absolutely fantastic, I was delighted with my hair and makeup as the bride. We also had four other adults for hair and makeup and two children - and we're all still getting compliments! In particular Declan and Janet worked fantastically as a team on hair and makeup and were very calming and friendly on the morning, everyone really liked them and they were both fantastic with the kids! I would certainly recommend them both individually or as a team. Pam O' Dea and Maeve Carey were such a joy to work with- from the bridal trial to the morning of the wedding both were amazing. I had the most relaxed and enjoyable morning getting ready and my hair and make up were just perfect. 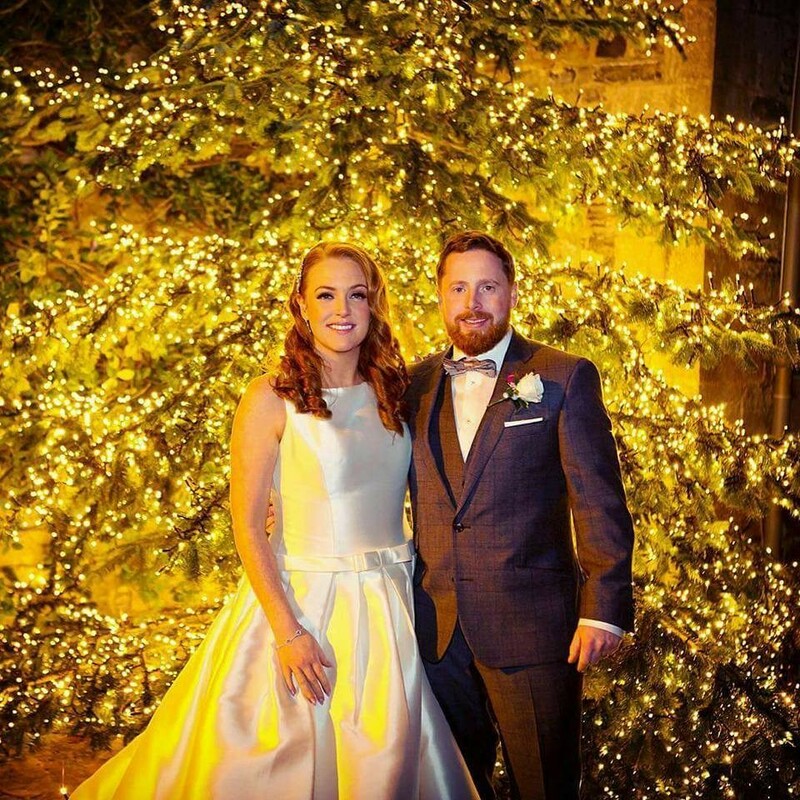 We had Reita for our wedding in the Amber springs in gorey in November 2017. Reita came highly recommended to me by a very good friend of mine. My friend and her two sisters had used reita for their wedding. She was soooo lovely! So relaxing and so accomadating. She did a brilliant job on our hair!! You’ll not be disappointed!! Cannot recommend the PRG enough. We had Declan Chapple doing our hair (me and 4 bridesmaids) for the wedding. He was so lovely throughout the morning. Highly professional and skilled at what he does.A true talent! We all loved our hair. The bridemaids had upstyles and I had my hair down and wavy to one side. Declan was such a calming influence on the morning, he even played music on his speakers for us which was great and provided a really nice chilled out atmosphere :) :) Thank you Declan for everything! Very punctual, Professional and helpful. Added fun to the wedding preparations. The Powder Room Girls were a dream. Aside from making everyone in the wedding party look the best they ever have, they helped my mom and I stay calm throughout the day. I live in the states and wedding culture in Ireland was very different than what I expected. This caused for a lot of surprises before and on my big day. Throughout everything that I thought was chaos, the powder room girls were calm. They saved me in so many ways! Since the wedding, every time we are getting ready for something, even just a normal day, we say "I wish the Powder Room Girls were here" and it's true I really do. I'll truly never look or feel that beautiful again. THANKS AGAIN FOR MAKING EVERYTHING PERFECTION. I wouldn't have anyone else prep me for my wedding day. Susan done an amazing job styling my hair for my big day. It didn't budge the whole day. Valerie done my make up, which was absolutely flawless. I couldn't recommend the girls enough. I had Glenda Kavanagh MCabe & Declan Chapple from the Powder Room Girls providing the hair and make up for myself and bridal party. Both were just fantastic from the trial right up to the wedding morning. Glenda did a wonderful job on our make up which stayed in place for the entire day, I did not have to touch it for the day and it looked wonderful in the photos. She was fun, calm and relaxed for the whole morning, my bridal party were delighted with their make up. Declan also brought a quiet calm and great tunes to the morning and again the hair was beautiful and stayed in place for the day. I could not recommend Glenda and Declan highly enough, it was lovely spending a relaxed morning in their company whilst they worked their magic! Declan from the Powder Room Girls did my hair for the wedding day along with 3 bridesmaids and my Mam. Declan was so easy going and flexible. He listened to what we all wanted and everyone was delighted with their hairstyles on the day. I would have no hesitation in highly recommending Declan and the team at the powder room girls. Thank you. Lott from the Powder Room Girls done make up for myself and three other girls for a hen party back at the start of October. Lott did a wonderful job on our make up which stayed in place for the entire day and night, I did not have to touch it for the night and it looked wonderful in the photos. She was calm and relaxed and fun to be around. The girls from hen party were delighted with their make up and we all received so many compliments during the evening. I could not recommend Lott highly enough, it was lovely spending a relaxed afternoon in her company whilst she worked her magic! I had the most amazing experience with powder room girls. My last hair stylist ended up not being able to do it 2months before the wedding but PRG to the rescue. Then the experience on the day was unbeatable Glenda and Declan did such an amazing job, the girls and I still talk about it constantly. My hair and makeup was as perfect at 4am as it had been at the ceremony!!! I cannot say enough positive things about Glenda, Declan and the whole PRG team. Highest recommendation! Catherine thank you so much for your wonderful review Glenda and I had a great time with you and the girls on the morning of your wedding. You looked amazing and your bridemaids too. We wish you all the best for your future together as Mr&Mrs from Glenda, myself and the PRG team. The girls from The Powder Room are ultimate professionals.They catered for myself and my 2 bridesmaids and also my sister and 2 of my nieces on the day of my wedding. From start to finish they were a dream to work with.. We had Christine as our hair stylist..i had been for a trial with her prior to the big day and she replicated the style I wanted to a t!! So many people commented on my hair that day..it held in place all day..she had 6 heads to style that morning and took it all in her stride..both herself and our MUA had a system set up so that there was always a person being worked on.. Our MUA was Dolly who is just fantastic at what she does..again she had 6 faces to make-up and also took it all in her stride..my make-up was absolutely flawless on the day..again I had plenty of people comment on how lovely my make-up was And it never budged all day.. It was a fantastic and stress free wedding morning and I feel both Christine and Dolly played a big part in putting us all at ease.. Both ladies were an absolute pleasure to work with and I'm so happy I chose them to do our hair and make-up on my wedding day. I would highly recommend The Powder Room Girls to anyone who is trying to decide on what to do about wedding hair and make-up. As I said before they are ultimate professionals and well worth their fee. Many thanks again girls !! 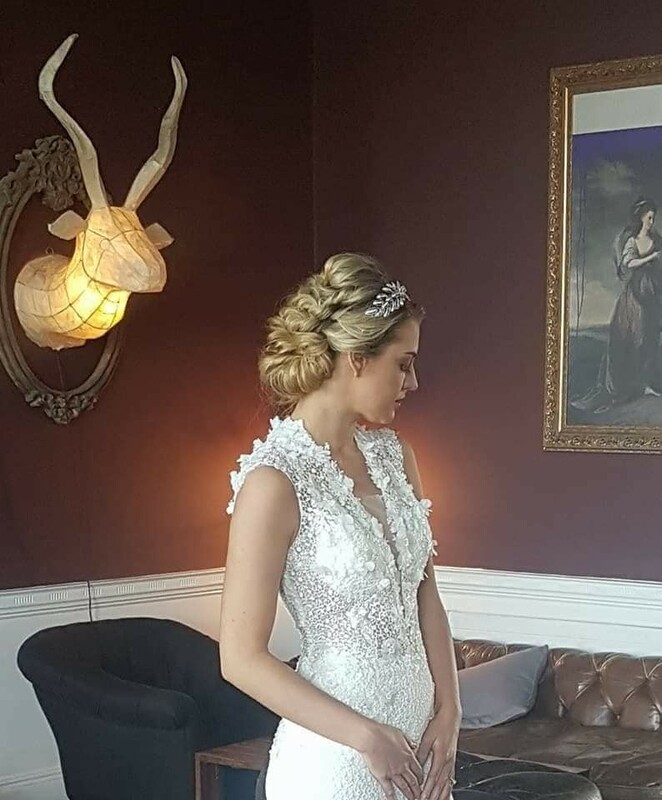 Majella you are too kind thank you for the lovely message, it was a pleasure to take part in your big day you looked amazing, we are delighted that you were so happy with everything, wishing you all the best for the future. 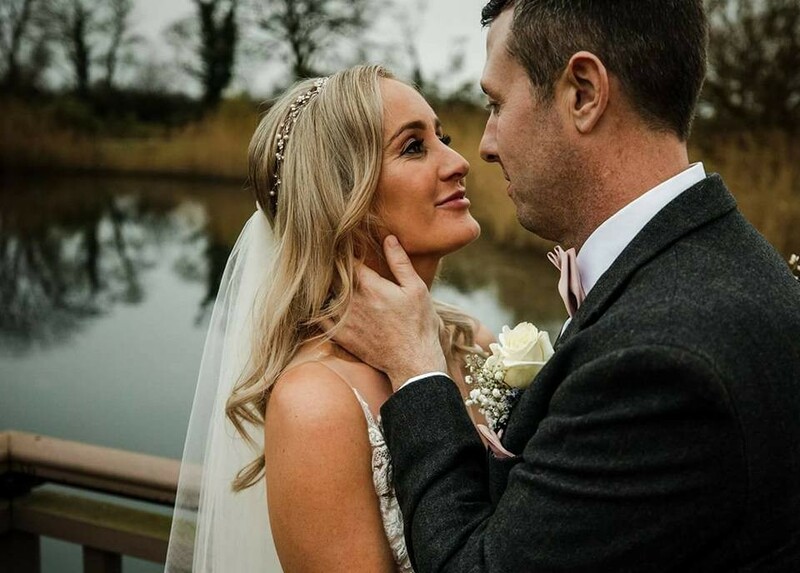 Got married on the 9th September and booked Glenda Kavanagh McCabe to do my wedding make up. 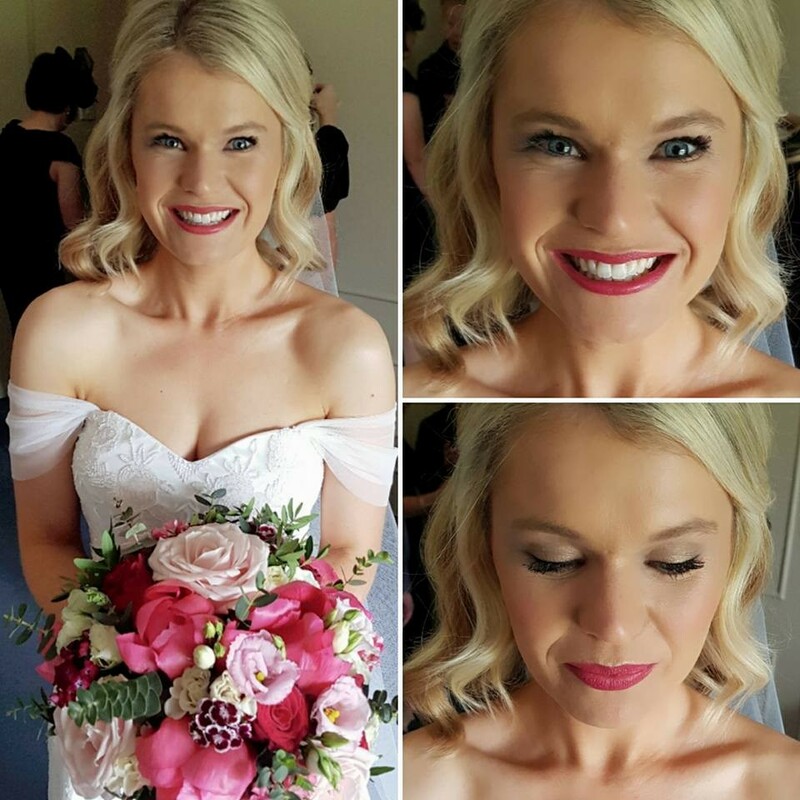 Glenda did the make up for my two sisters weddings in 2012 and 2013 and everyone was so impressed, so much so, that she was the first and only make up artist I contacted when I was arranging my own wedding! When Glenda said she could travel from Dublin to Brooklodge to do my make up I was thrilled!!! She is professional, friendly, funny and so down to earth that she kept me totally relaxed on the morning of the wedding - the laughs we had! The make up was exactly how I wanted it to look, bridal and natural. She made me look and feel amazing, which is exactly how every bride should feel on their wedding day! She was very open to suggestions and did not force me to use any products or colours that were not to my taste. I couldn't recommend Glenda enough! I had Glenda do my bridal make up, my 3 bridesmaids and my Mam. She was AMAZING!! I don't wear much makeup and was a bit worried but it was perfect and it stayed on all night. I couldn't recommend her enough. Awh thank you Sinead so much, I just love natural makeup and bringing out your own natural beauty which you have in abundance...Best of luck in your future. Hopefully our paths will cross again. Glenda Mccabe Kavanagh is a makeup artist employed with the Powder Room Girls in City West. Glenda did my makeup on my wedding day, along with my 4 bridesmaids and my mother. She is amazing at what she does. All of us girls loved our makeup. Very natural but glamorous at the same time. She does exactly what you like, she also advises on what would suit better. Glenda is a fun, a bubbly person, very friendly and professional. She is flexible also and will try suit you for your trial. Would highly recommend. AMAZING. Thanks Michelle, it was my pleasure spending the morning with you all. I had such fun with you all. I enjoyed every minute of your wedding morning. You all looked amazing. I wish you the best of luck for your future and hope to see you soon. Helen and Reita were absolutely amazing. Loved all the hair and make-up they did. They were extremely happy and thoughtful on the day and fitted into the wedding preparations perfectly. If fact I have been asked for their names since as guests liked the hair and make-up so much! 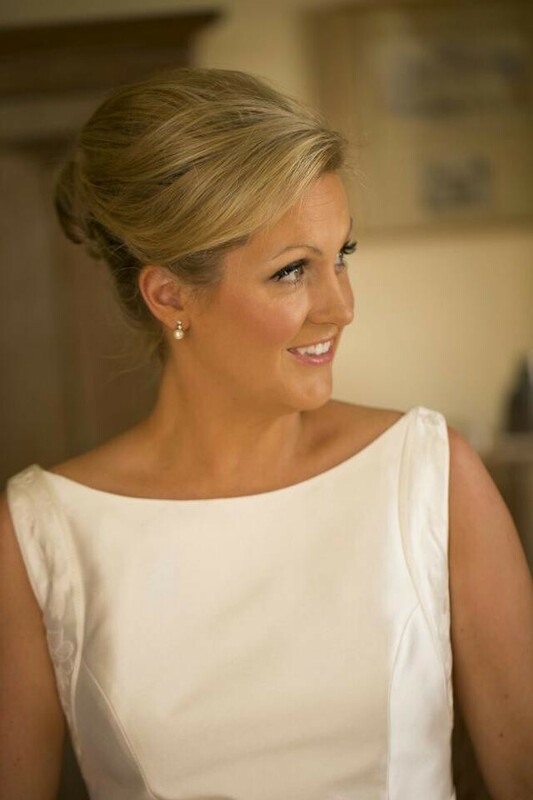 Glenda McCabe was our lovely MUA for my wedding in June this year. I knew very quickly after meeting Glenda that she was perfect for what I needed. She really listens and very client focused. Not only is she a great MUA she’s a lovely person and it’s so important to have someone like Glenda who has both the talent but also the personality. She kept us calm and relaxed on the morning of the wedding and even made us giggle a few times. A true professional with a great talent and lovely personality. Would highly recommend. The powder room girls are amazing. I booked them for my wedding and they appointed Glenda McCabe as my make up artist. Glenda has such a talent for make up and an amazing bubbly personality. She planned out the whole wedding morning so that I didn't even have to think about what happens next. All of my bridesmaids looked stunning as their make up was just perfect. Glenda made sure to spend most time on my make up and I was absolutely thrilled with it..all of my photos are fab! Thank you so much Glenda, I wouldn't have wanted anyone else! Hi Donna, thank you so much for your kind words. I'm delighted you were so happy. I love a morning to run nice and smooth and its fantastic when I can help out beyond my role as a makeup artist, keeping you all calm and setting the tone is also so important. I believe your wedding begins from the moment you open your eyes and I was so glad to be a part of your special day, hope to see you in the future. Susan and Rhona did our hair and make up for our wedding and they were just fantastic! We were all so happy with everything. 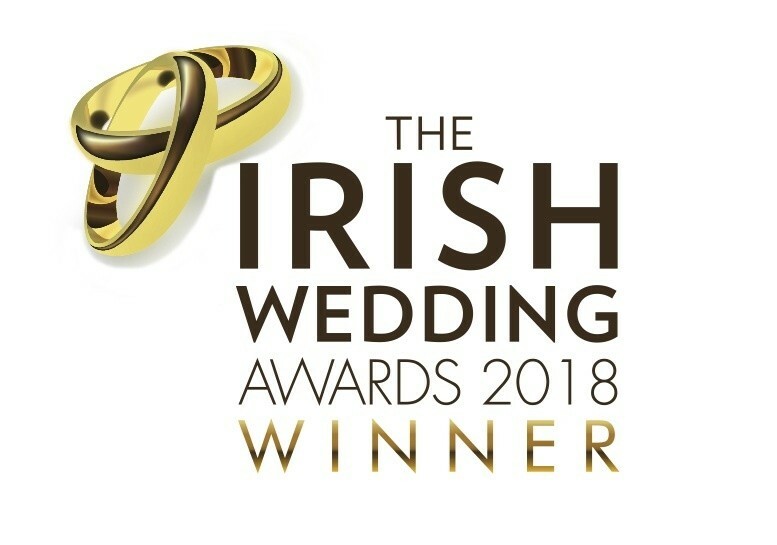 As soon as I booked Susan and Rhona I knew I wouldn't have to worry about a thing the morning of the wedding and that's exactly what happened. The hair and make up lasted well into the early hours without a single touch up or pin to be moved. They really are first class!! Thanks you!! Rhona thank you so much for helping to make the morning of our wedding run so smoothly. 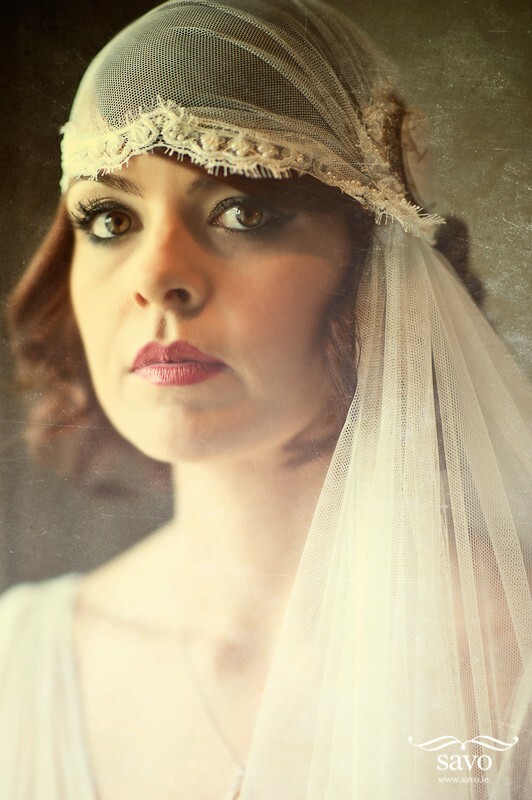 I would not hesitate to recommend the Powder Room girls to any future brides. Rhona was so professional and so easy to work with and would not let anyone leave until everything was perfect. Everyone looked beautiful and some of the wedding guests even went to the studio to get their make up done and were equally happy. I got married on Friday 12th May in Amber Springs Hotel and had the fabulous Susan Peggs travel down from Dublin to do the hair for myself, my mam, 3 bridesmaids, 2 flowergirls, my Aunt, cousin amd niece so 10 of us in total, Susan done an absolutely amazing job, she made everyone feel so relaxed and our hairs turned out gorgeous, there was no style she couldn't do and our hair stayed put for the entire day & night (mine was even fabulous the next day!) 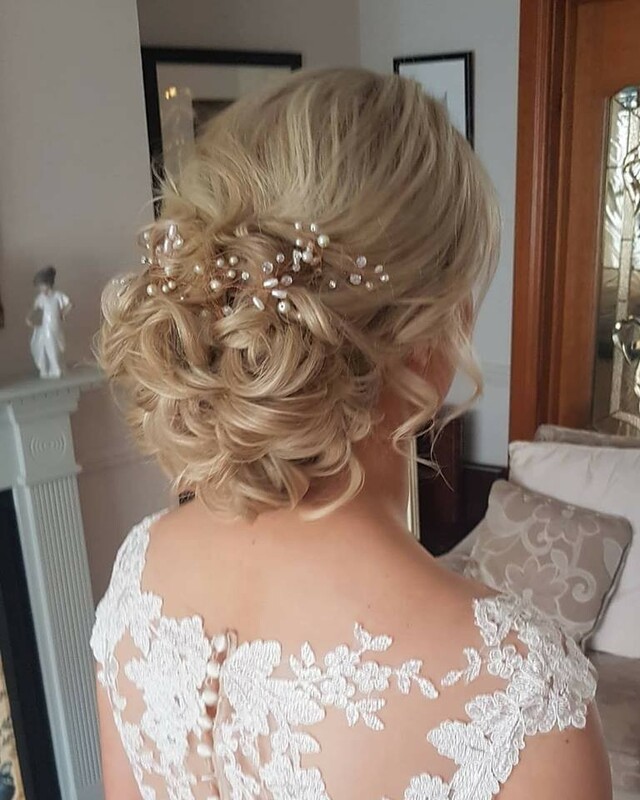 I have since had a lot of people ask who done the hair for my wedding so said I'd write a review on here, I would highly recommend Susan to any brides looking for an amazing hairdresser!! Myself and my bridesmaids had our makeup done by Glenda McCabe. She was absolutely amazing. I cannot recommend her enough. Our makeup was flawless and lasted all day/night. We were so happy with how it looked. Glenda is a lovely lady and listened to how I wanted it to look and it turned out 100 times better then I could have wanted. She is truly a perfectionist and I urge any bride looking for make up to contact Glenda. 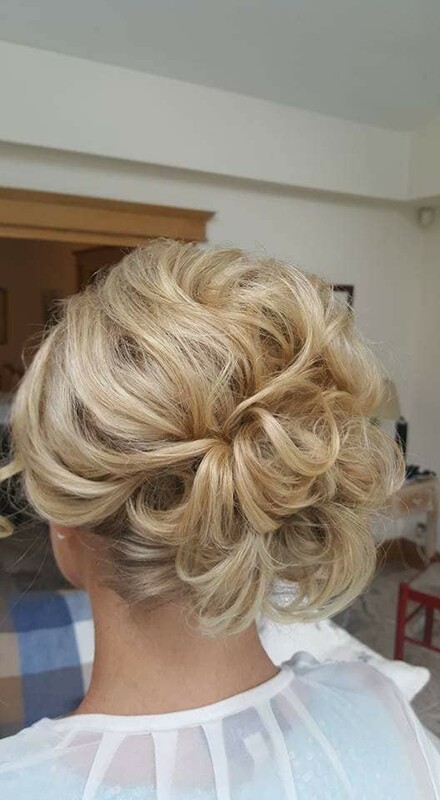 I had used the PRG for my wedding for hair and makeup, I had the lovely Christine to make me over for the big day, she is amazingly talented, and done both hair and makeup for myself and the bridal party. Everyone was well impressed with their hairstyles and makeup's. Christine is very professional and found her very enjoyable to work with. I would highly recommend Christine for both hair and makeup, Thanks Christine you done a great job!!! Rebecca Keogh was my hair stylist on the day of my wedding but she did a lot more than just style hair by helping out wherever she could. I couldn't sing her praises enough. When we met for my trial it was like Rebecca could read my mind. I was so happy. I emailed her a few days later about the type of clip-in extensions I should get and she advised me perfectly. In the few days running up to the wedding she got in touch to confirm all the details, very reassuring. On the day itself, Rebecca was just brilliant. Everyone looked amazing. She even managed to do the flower girls' hair... no easy task! For the final touches, she had a hawk eye and was able to fix the few stray hairs. She helped my mam decide on which pair of earrings to wear too! A huge thank you to the Declan from the PRGs for styling hair on the day of my wedding. I was thrilled with how my hair looked and how it lasted for the entire day. My bridesmaids also really loved their hair. Declan was very relaxed which helped all of the bridal party stay cool and collected. Declan was very professional and I felt we could ask him to change anything if needed (although everything was spot on first time round). The booking process etc was also very smooth and easy. Sincere thanks once again. Highly recommended! I had the pleasure of Susan & Rhona doing my hair & make for my wedding in April. They are excellent at what they do and really listen to what you want. My hair was exactly what I wanted and i received so many compliments on the day. It lasted all day and was still perfect at the end of the night My make up was beautiful and I was so pleased with it. It lasted all day and night and was still perfect the nxt day too! 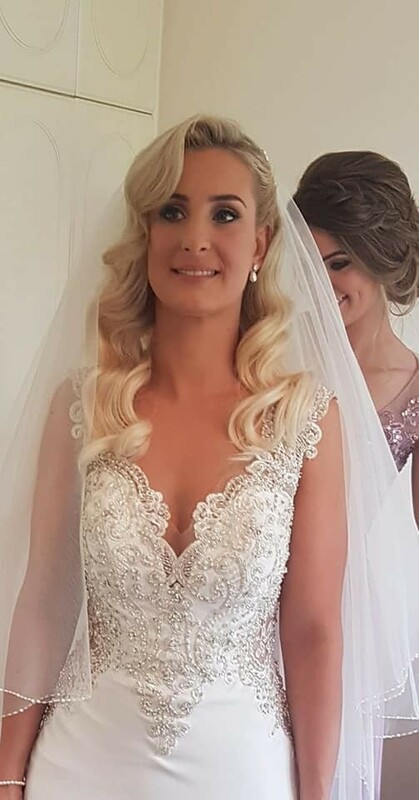 If your looking for a professional, friendly service I would highly recommend Susan & Rhona to anyone looking for hair & make up on their special day. Jenny McCully did my hair for my wedding in April. Jenny is an amazing hairdresser super talented I loved loved loved my hair and my bridesmaids, mothers and flower girls were also stunning.She goes above and beyond on the morning of the wedding. She has a lovely bubbly personality and helped me to relax and enjoy my morning. My hair didn't budge all day and night. I would highly recommend Jenny she's a wonderful hairdresser. I had met Susan when I was bridesmaid at another wedding and so when i got engaged i booked the Powder Room Girls ASAP. As i live in london they were very flexible in doing my trial ovee christmas rather than me having to fly home another time. Susan got all 3 of my bridemaids, 2 flower girls, 2 sisters my mother and myself ready without any stress about time etc. I would def get them again. I got married in March 2017 and I had Christine and Tanya doing my hair and make up. Christine did my hair exactly how I wanted it. I never wear my hair up but I wanted it up for my wedding day. I was so impressed how she gave me volume and kept my hair nice and soft around my face. Not one hair fell out of place all day and I felt so comfortable. She was great on the wedding morning as she kept me calm and knew when I was getting a little emotional and overwhelmed. I also had some fussy bridesmaids and 2 little flower girls who were so pleased with how their hair turned out! Thank you Christine!! Tanya was my make up artist and she also out did herself. I changed my look from what I had chosen during my trial as I felt i wanted my eyes more dramatic and not as toned down as I had originally planned. This was a great decision and I knew I could trust Tanya. I loved my make up and she completed it exactly how I imagined. Everyone commented on my make throughout the day and even still now mention it to me when they see me! Tanya also did a fantastic job on my bridesmaids and Mam, who normally wouldn’t wear make up but was thrilled with the toned down look Tanya gave her. Thank you Tanya!! I couldn’t recommend these girls enough!! I booked Susan and Rhona for my wedding last February based on the recommendation of a friend and colleague and I was not sorry I did so. They are both extremely skilled at what they do and did an amazing job both at my trial and on the big day for me, my bridesmaids and my Mum. Everyone was delighted with them! Not only are they fantastic at what they do, but they are also also extremely relaxed and easy going as well as being fantastic time-keepers who managed to have us all ready with time to spare on the big day. My colleague had said, if they are free grab them with two hands, and I would say the same to other brides. Look no further! These guys are everything you're looking for! In fact, one of my bridesmaids is herself getting married this November and she has booked them for her wedding too! Thanks Susan and Rhona and see you both again in a few weeks! Can't wait! I got married last October, and Helen Steadmond did an absolutely amazing makeup job for myself and the rest of the ladies in my family. I lost count of the number of compliments that I and other members of my family got about our makeup, and all thanks to Helen. My sister (bridesmaid) & I just thought Helen was just amazing on the morning of the wedding - she was honestly such a calming influence, and on top of that, made us all look fab. So a huge thank you again to Helen for everything she did for me & my family. We have never seen my mum look so well!! I wouldn't hesitate in recommending Helen to anyone. They'd be lucky to have her ;-) Thanks again Helen!! Susan and Rhona Rock! Not only are they SUPER talented at what they do but they are lovely people too. We had a great laugh with them the morning of the wedding and they made myself and my beautiful bridesmaids look amazing for the big day! I highly recommend Helen Steadmond from the powder room girls for make up, I have never felt more beautiful than i did on my wedding day. My bridesmaid were delighted also. I'd had a few makeup trial before I found Helen, so I guess I'm a little fussy. She really made my day. 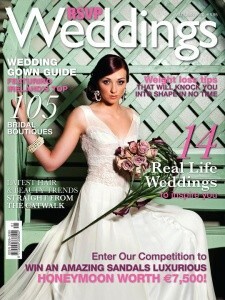 I now work in the wedding industry and Helen is who I recommend to my brides. A true professional. I was delighted with Helen from the Powder Room Girls,who did my makeup on my wedding day.She had no problem travelling to me and even arrived early! 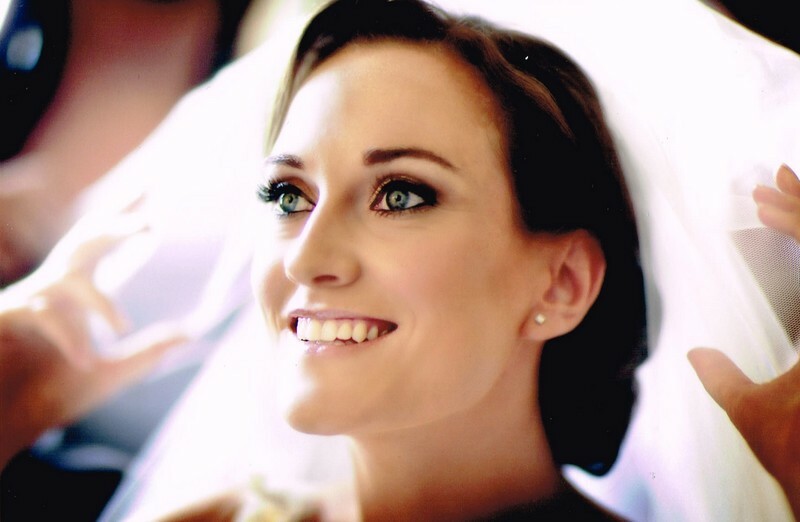 Helen was so professional and caring- relaxing even the most emotional bride! My makeup was amazing and lasted the entire day. It was exactly what I wanted and she had the entire bridal party looking amazing ! I would highly recommend Helen, she did a fabulous job, so reliable and so talented. Used powder room girls for both hair and makeup for myself and my bridal party. They were fantastic in every way, absolute experts in their work and made us all look fantastic on the big day. Came to my home on the morning, very professional and personable and never felt rushed or under pressure. Would 100% recommend. The girls were just amazing. They were involved so much of the big day, hens make up, wedding day make up and trials. They did a fabulous job and were such a calming influence on the day. They listened carefully to everything we wanted and we got so many compliments on the hair and make up. We've just gotten the photos and all their hard work paid off! I would recommend them to any bride for her big day without a moments hesitation. But not only that, I would recommend them for any special occasion. I am going to a wedding myself next month and have already booked them for my hair and make up! It's worth paying that little bit extra for true professionals, people will be taking your photo right until you go to bed on the night and my make up did not budge all day! Thanks so much to Yvonne, Susan and Glenda. Susan did a brilliant job on all the bridal party hair. Glenda did a fantastic job on our makeup. The Powder Room Girls provide a very professional service, I would highly recommend them. Thanks again for all your help. Glenda McCabe has now done the wedding make up for myself and my two sister for all of our 3 weddings. She did such an amazing job we even got her for a make up lesson after and got lots of great tips. She’s got a great way with people and makes you feel at easy on crazy wedding mornings! Thanks for making us look amazing on our big day. Ask for Jenny. She came to my parents on the morning of our wedding, she was punctual, professional and has a lovely way about her putting everyone at ease. She's extremely talented, and able to do a large variety of styles. My hair stayed intact all day/night. My two sisters who got married since also had Jenny do their hair & numerous friends have had her also as a result. I would highly recommend Jenny. 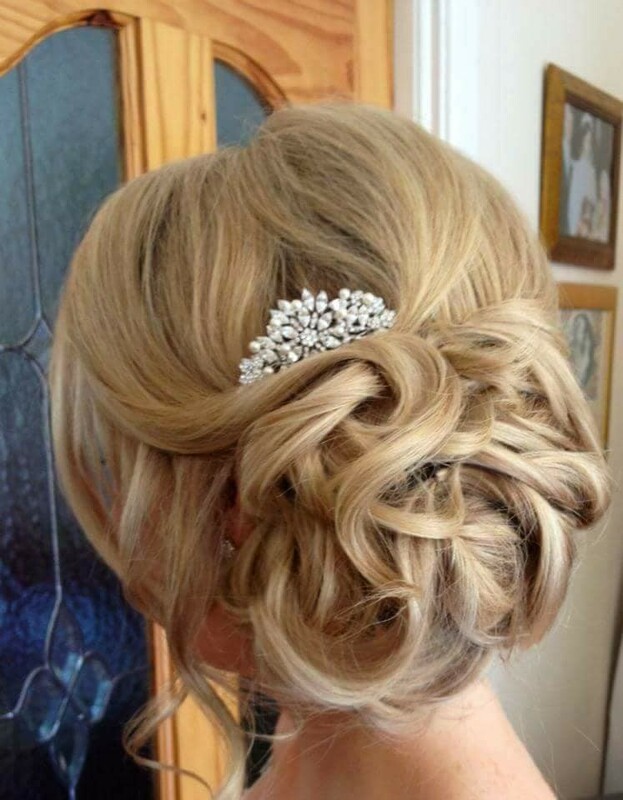 Fantastic job by Christine on bride's hair, bridal party & mother of bride. Very calm & patient presence on the day, highly recommend. 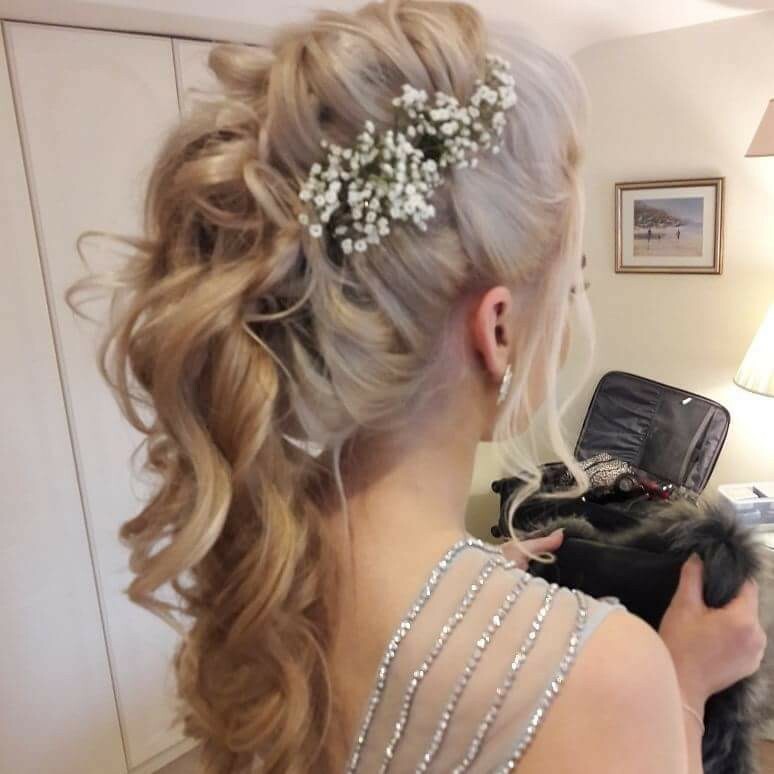 Thank you so much Susan, Rhona and Noleen, I was delighted with my hair and makeup on my wedding day and so happy to see that all my sisters and Mum were delighted with their own hair and makeup also on the day. 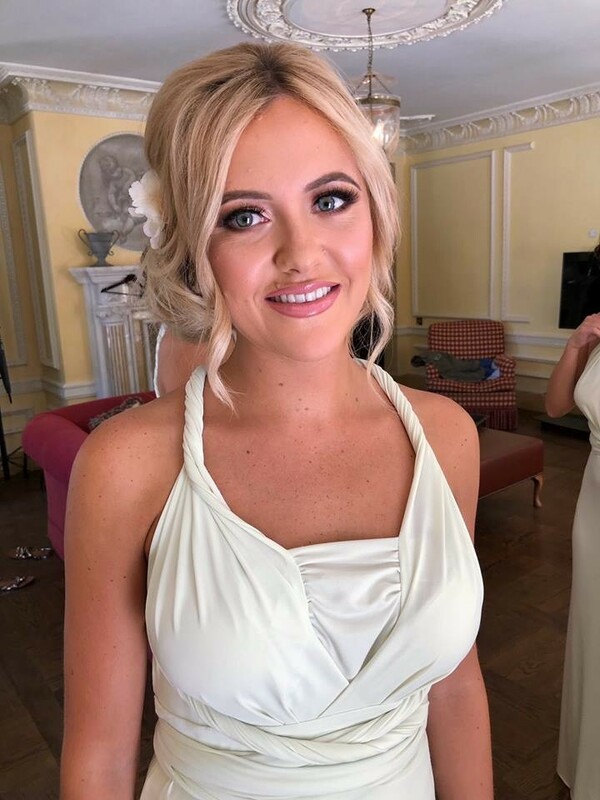 I remember turning to my bridesmaid when we arrived at the church going ‘God our hair and makeup is fab!’ I decided to go for a trial with Susan and Rhona with my bridesmaid and was so amazed with my transformation after that I decided to book them there and then. 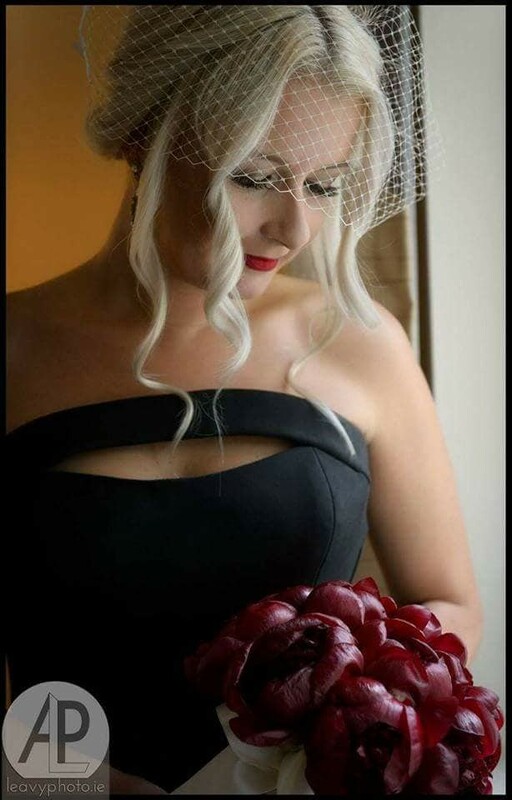 Noleen also had a chat with me as I wasn’t happy with my hair colour and after a colour change I was really happy with how glossy and healthy it looked on the wedding day and in the photo's. They are lovely ladies and very talented – it was really nice to have them arrive to house and as soon as you sat down for your transformation we had a chat and a laugh which really helped the nerves! We received our wedding album yesterday and I have to say looking through it, if you want picture perfect hair and makeup for you and your wedding party that will last all day, you should definitely book with these ladies!!! Three short weeks before my wedding, I went panic searching for a hairdresser and discovered the Powder Room Girls. I contacted their website and received a prompt reply offering me a trial with Rebekah for a few days later. I visited their studio and spent the evening trying several hairstyles before deciding on one. Rebekah arrived early on the morning of my wedding and spent the morning doing hair for my mum, sisters and I. By the end of the morning, we felt like Rebekah was one of the family! The friendly, professional and reliable service provided by Powder Room Girls is second to none and I'd strongly recommend them to everyone. Prices are very competitive and they travel nationwide. We booked Sandra Berstock from PRG to do our hair (bride, maid of honour, and two mums) for our wedding in July 2011 and can't say enough about the experience. Sandra was a pleasure to deal with via email in planning the wedding and did a superb job for us on the wedding day too (and she is pleasant and relaxed, exactly what you want on your wedding morning). None of us knew what type of hairstyle we wanted and Sandra was able to recommend styles all 4 of us loved that suited our dresses. A real professional and we would highly recommend anyone to book her! Rhona did make up for myself, my bridesmaids and my mum at my wedding in July. She is a gem and an absolute pleasure to deal with. We all looked amazing and she knew just how to make the best of everyone's features! She has a way of making you feel at ease - the time flew by that morning, we were having so much fun! I would recommend Rhona to anyone. She is a true professional. I booked Rhona for my wedding a few weeks ago, she did an absolutely amazing job! Really calmed me down on the morning of the wedding too and helped make it great fun. I'd strongly recommend her but book early because she's a busy lady! Two words........ absolutely fantastic... The Powder Room Girls did the hair and makeup for my sisters wedding, they were highly professional, extremely helpful and the girls obviously knew what they were doing. We all looked great!!! 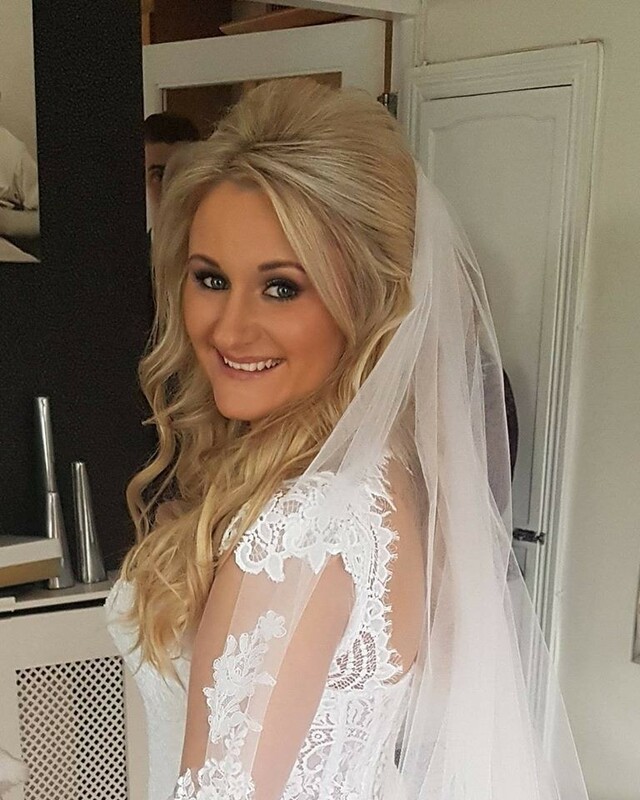 Even when one of the wedding party broke her veneer and had to go to a dentist, they waited for two hours for her to return so she could get her hair and makeup done..... They really were excellent, every request made to the PRG team before the wedding was dealt with immediately and to the fullest of their ability.... I would recommend to anyone getting married. I booked Rhona and her colleague Susan Peggs to do my hair and makeup for my big day and I was absolutely delighted. All my pictures are perfect because of the hair and make up and it lasted all day and well into the night and next morning. I would highly recommend them both. 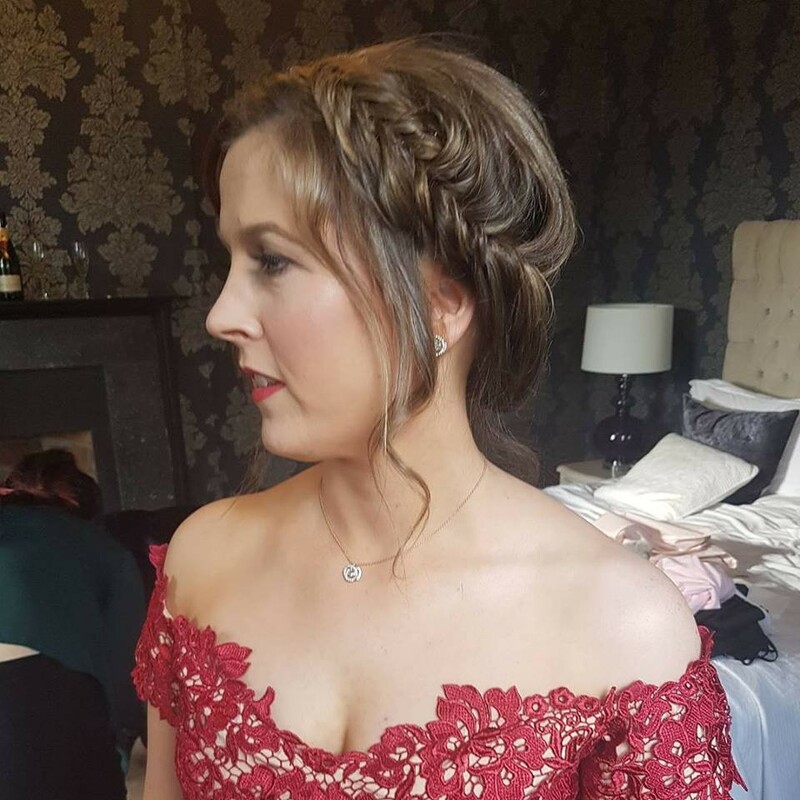 Rhona did an amazing job with the make up on the day of my wedding, the make up looked really glamorous but was still natural and the only thing that needed to be topped up during the day was the lipstick. She is very relaxed and was a very calming influence on the morning of the wedding.